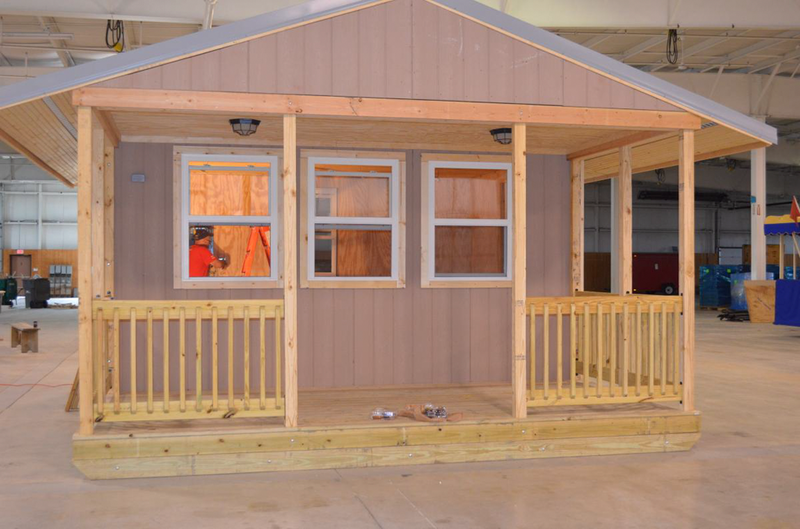 Led by our maintenance chairman, Michael Blombach, co-chairmen, Wayne Wendorf and Al Hallett, and chairman emeriti, Bob Brauer and Bob Lumley, an incredible hard-working group of volunteers accomplish what seems miraculous for “build it in a weekend” projects! 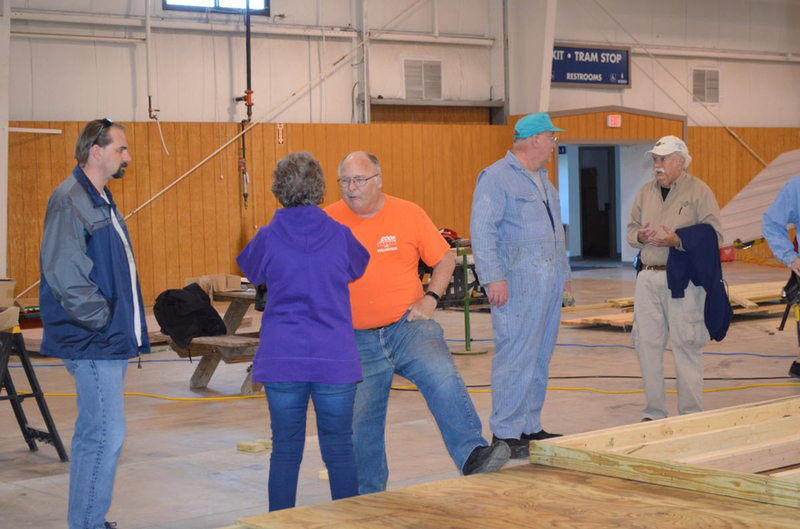 This April, the group including our recently retired president Geoff Robison, our new president Susan Dusenbury, and several VAA Board Members joined 40 volunteers from Texas, Iowa, Illinois, Indiana, Minnesota, and Wisconsin to work on two main projects. One group worked on the renovations in the Red Barn, another group worked on the new Charging Station, and the third group worked on unpacking and categorizing an amazing collection of aviation books. Another crew took care of snacks, drinks and meals throughout the day! But maintenance and construction are not the only things which go on during a Vintage work weekend. The Flightline Chairs gathered during the April weekend to review parking and safety procedures and walk the field in preparation for parking over 1,000 Vintage Showplanes. The Grounds Chairs began planning for area changes due to construction as well as locating row markers for burning later in the summer. A group of hard working volunteers led by Jim Cunningham have been cataloging and pricing thousands donated books for our bookstore. And a dedicated Aeromart team tagged and organized all the aviation items remaining from 2016. Painting our new Charging Station, cleaning, and touching-up our other buildings will be on the agenda for the June work weekend. We mean it literally when we say we have jobs for every interest and every skill level. Volunteer work weekends date back to the formation of Vintage (then Antique/Classic) and first Red Barn restoration under the leadership of Buck Hilbert when we inherited the barn in 1973. Bob Lumley, George Daubner and Bob Brauer expanded the Construction and Maintenance Team years ago and built many additions to the Red Barn as well as other structures. Spring and Summer volunteering have been a tradition that has continued with countless people donating countless hours and expertise to improve and build new structures in Vintage. Steve Nesse and Bob Lumley and a core of volunteer assistants keep us all well-fed during the weekend. You can view the photo gallery of this year’s April and May work weekends here. There are three weekends each year prior to AirVenture, one each in April, May and June. If you are interested in joining a great team, contact Mike Blombach here. 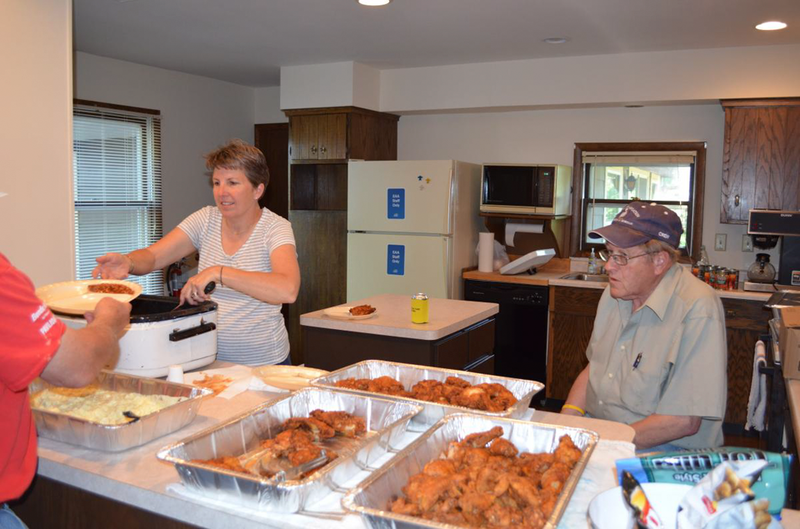 Meals are provided and they try to supply housing, It is a great way to support VAA to work with a great group of volunteers. Come on down!! !